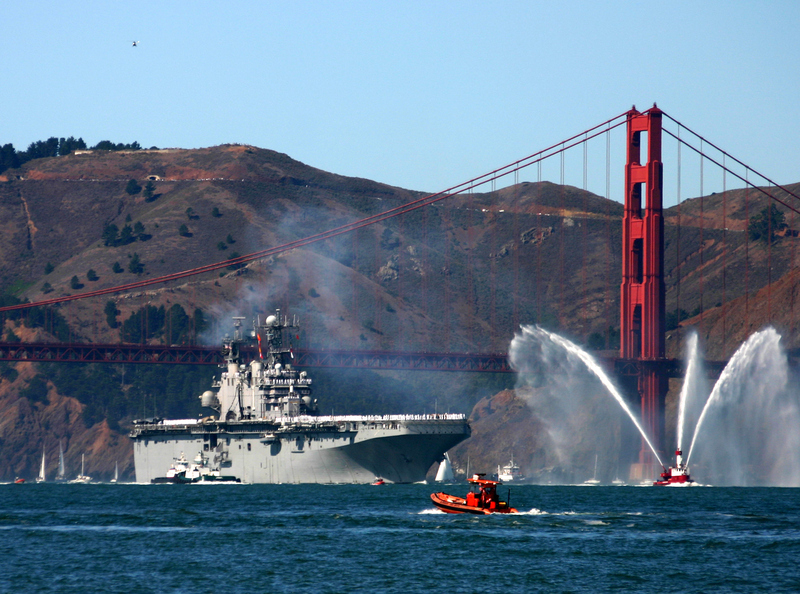 San Francisco Fleet Week is an annual event honoring the men and women of the United States Armed Forces and civilian- and military-based Humanitarian Assistance and Disaster Response personnel. This year’s Fleet Week will take place October 3-10. A US aircraft carrier crosses under the Golden Gate Bridge during Fleet Week, led by the Sab Francisco fire boat. The fireboat shoots streams of water high in the air as a salute to the carrier. A tug boat is alongside the carrier and a small US Coast Guard skiff patrols nearby. Hundreds of sailors in white uniforms line the flight deck. The United States Marine Corps Band kicks off this event with a stirring performance of patriotic songs and a musical celebration. The thrill of the music continues as select Bay Area high school bands then take the stage, competing for prize money to support their school music programs. Fleet Week in San Francisco has been around since 1981 when Mayor Dianne Feinstein began this annual celebration of America’s sea services. Since then, every October Fleet Week takes place on the Marina Green overlapping Italian Heritage Weekend, SFFW’s air show, parade of ships and many community events. As the largest and most significant event of its kind in the nation, San Francisco Fleet Week features a unique training and education program that brings together civilians and the military to develop and share best practices in humanitarian assistance and emergency disaster response. This incredible event attracts millions of visitors and is recognized by the United States Department of Defense as the model for fleet weeks across the country. This year Fleet Week in San Francisco will host the Tactical Demonstration Team, the F-22 Raptor, to join the headlining U.S. Navy Blue Angels demonstration squadron. The F-22 Raptor will wow the crowd with demonstrations of the super maneuverability of the stealth combat aircraft. These demonstrations include the power loop, split, and tail slide, as well as a high-speed pass and dedication pass. The Humanitarian Assistance Village is an interactive demonstration of US Military and Civil capabilities in responding to a disaster. The 2016 Village will include an educational program for participants to learn about these capabilities. Guided by a “Passport”, participants will be encouraged to explore four different theme camps and receive a stamp from each: Mass Care and Shelter, Power and Utilities, Community Response & Rescue, and Environmental Management & Decontamination. Participants who turn in a completed Passport with 4 stamps will be eligible for a prize drawing. The Fleet Week Air Show is a free show and visible from most areas on the waterfront, reserved seats offer the best views along with the narration broadcast. 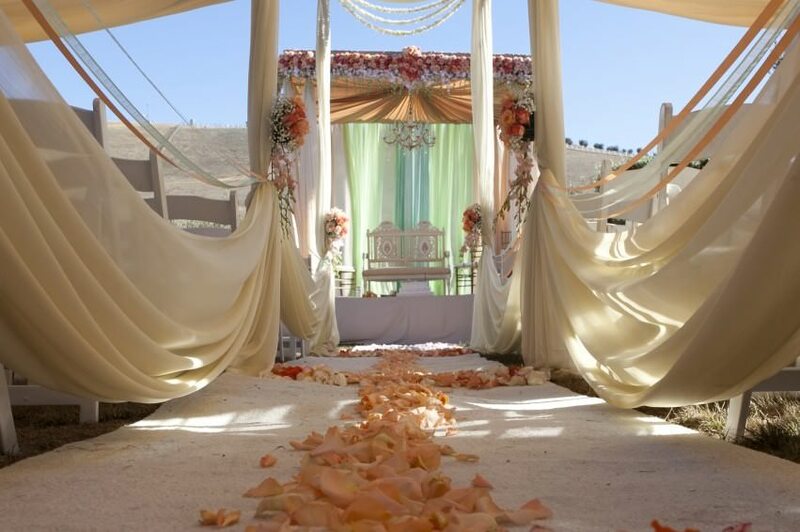 Reserved seat and VIP tickets are available on the show’s website. 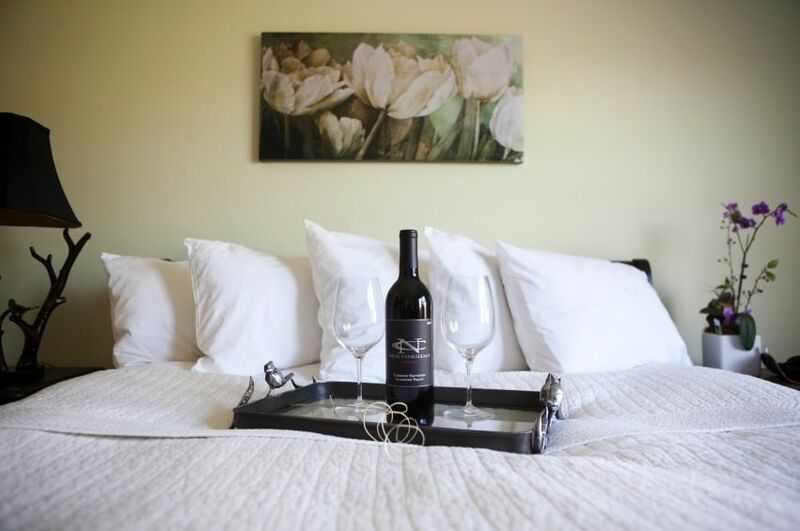 Come stay with us at The Purple Orchid in nearby Livermore. Located a short (but beautiful!) 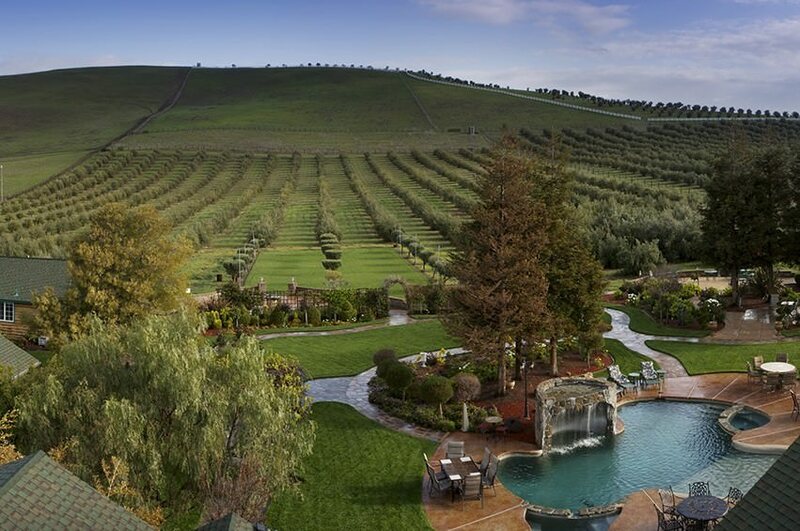 drive from San Francisco, Livermore is the perfect getaway. Download our free area vacation guide to help you plan your stay. Reach new heights of adventure with a San Francisco hot air balloon ride!